Olive oil has been and still is a staple in the diet of many Mediterranean countries. The recent discovery that the Mediterranean diet, which features this prized oil, may be linked to a reduced risk of heart disease and other health conditions has caused olive oil to become very popular in the United States in the past few decades. Today, much of the commercial cultivation of olive oil is still centered in the Mediterranean region in such countries as Spain (36% of total production), Italy (25%), and Greece (18%). These countries - along with the remaining European countries - also consume about two-thirds of all olive oil that is produced. Regions of the world with quickly-increasing consumption and production of olive oil include South America (especially Chile) and Australia. 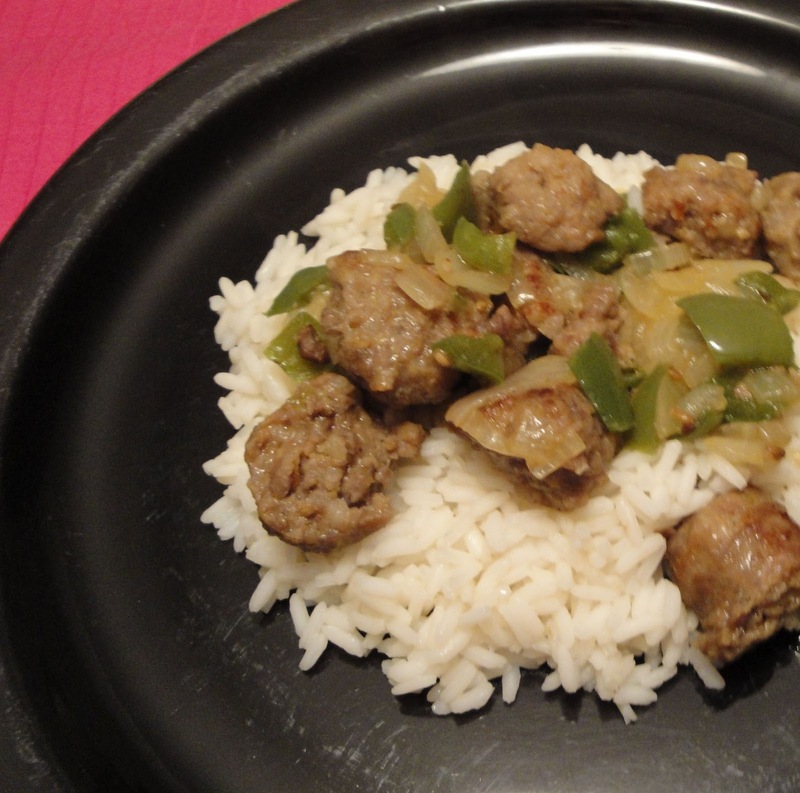 For those who like Italian sausage, this easy and delicious recipe will be a hit with the family. In large skillet, heat oil over medium heat. Add sausage and brown. In the same skillet, add onions, bell pepper, garlic powder, salt and pepper. Stir and saute about 6 to 8 minutes. Add chicken broth, stir and cook another 2 to 3 minutes. Serve the sausage mix over cooked rice. Enjoy! Looks great & you can never go wrong with sausage and peppers! My kind of rice dish. :) Mmmmmm! I love Italian sausage... this looks like a fantastic weekday dinner for the family.